Hedi Frankl pretended to be a Christian teenager in a small town in Hungary to save her life during the Holocaust. But she was found out and deported. Now the 89-year-old lives by herself in London, but with the help of a caregiver paid for by the Claims Conference, is able to battle her nightly anxiety and fears of being alone. Hedi was the eldest of six siblings in an Orthodox Jewish family in Balassagyarmat, a town in northern Hungary. 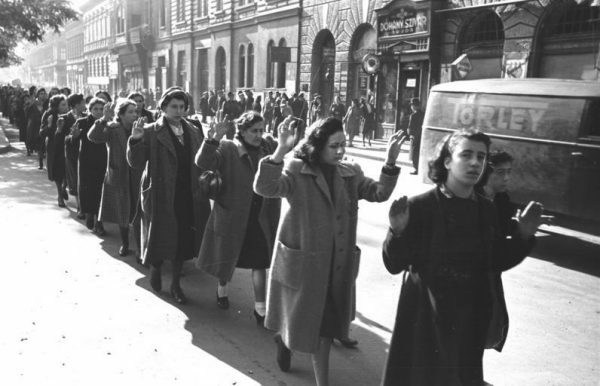 In the spring of 1944, as the Nazis occupied the country, Hedi’s mother arranged false identity papers for her daughter and had the teen learn about Christianity. She was sent to live as a paying lodger named Boriska Kovacs at the home of a Christian family in a nearby town, but was betrayed to the Nazis after six weeks. Hedi spent the rest of the war at a forced labor camp near Vienna. 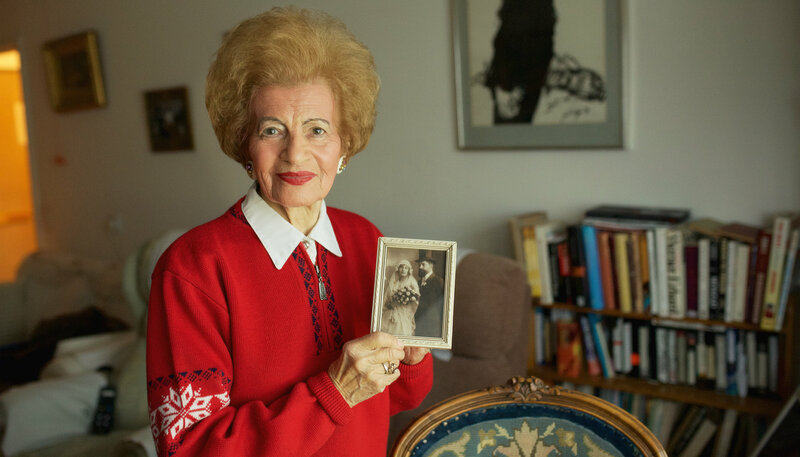 After liberation, Hedi discovered that her entire family was murdered at Auschwitz, except for one brother. The siblings reunited and were brought to London in 1947 by their uncle, who had fled to England before the war. As an adult, Hedi worked as a social worker for the Jewish Welfare Board in London, and then opened a matchmaking agency, which she ran for 25 years until she retired. Now she lives alone in an apartment in a sheltered-accommodation facility, where she has a bell that she can ring in case of emergency. Hedi, who is divorced, has no family in England; her daughter lives in Jerusalem, and one grandson lives in New York and the other in Amsterdam. She sings the praises of her social worker, who is provided by the Association for Jewish Refugees (AJR) in London, with Claims Conference funding. “My social worker listens to my troubles and has arranged care and support for me so that I can continue to live independently,” she said. Hedi has some serious health issues – she has heart disease and a pacemaker, and varicose veins in her legs and feet cause ongoing nerve pain. She wears hearing aids. She also suffers from depression and from acute anxiety, which she battles at night and when she spends too much time alone during the day. Through AJR, the Claims Conference provides Hedi with home care assistance, including nursing care and housekeeping. The aide does all of Hedi’s cooking, laundry, and shopping. Most nights a caregiver stays with Hedi to help her feel calm and safe. She also received emergency assistance to pay for some medical expenses.